The company has been DIN EN ISO 9001:2000 certified since March 2004. Customer satisfaction is our primary objective. We strive to permanently increase quality by way of an ongoing improvement process implemented by our motivated staff at all levels. Part of our company-specific quality policy is constant investment in state-of-the-art vehicles and special technology, ICT and telematics systems as well as in the education and qualification of our staff and apprentices. 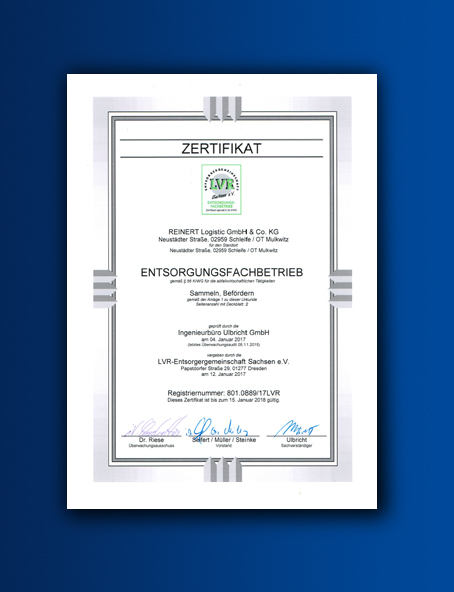 REINERT Logistic GmbH & Co. KG has been a certified waste disposal company since 1998. We are aware of our high degree of responsibility towards our customers, the public and the environment. All drivers commissioned with waste disposal have up-to-date ADR licences. The disposal staff and drivers receive regular training specifically for transporting waste and dangerous goods. All vehicles used in this context are GGVS/ADR compliant. We use our modern telematics system for seamless transport monitoring. 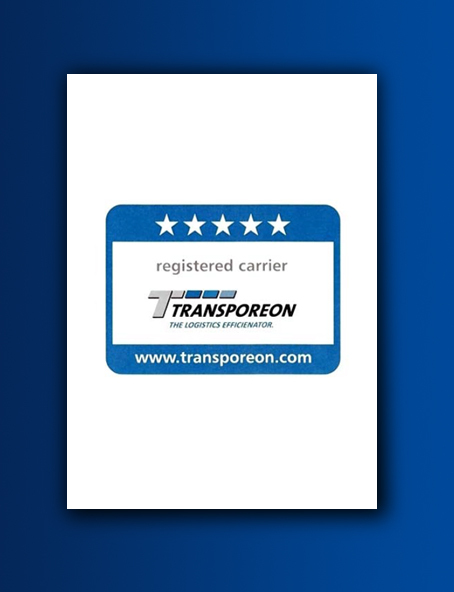 The new TRANSPOREON quality seal has been introduced in August 2008. This carrier logo is a sign of special process know-how and strict quality standards. Its purpose is to help carriers win over new customers and support shipping agents in quickly and easily finding suitable partners for their transport carrier pool. The logo is a special award that is tied to certain access requirements. 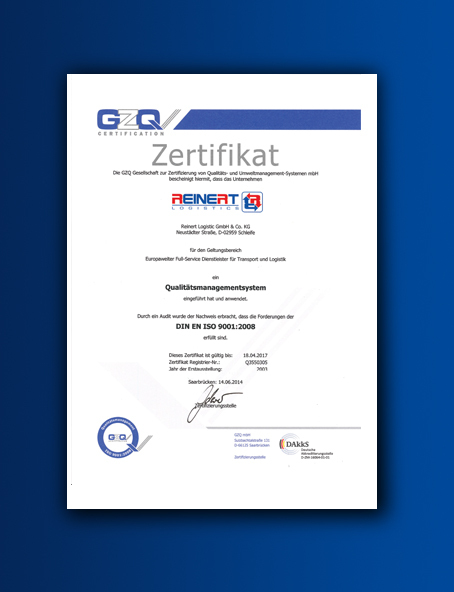 REINERT Logistic GmbH & Co. KG has been certified with this quality seal by Transporeon.